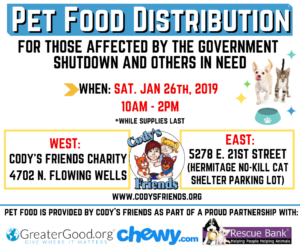 Every day here at Beading Diva central, we learn more about Cody’s Friends Charity and are greatly amazed by all they do for people and pets in need. The government shutdown is not only wreaking havoc for people and families but also people with pets. It’s hard enough to pay the rent or mortgage and utilities without having to worry about food and then food for pets. Let’s hope our community can rally around people in need and people in need with pets. 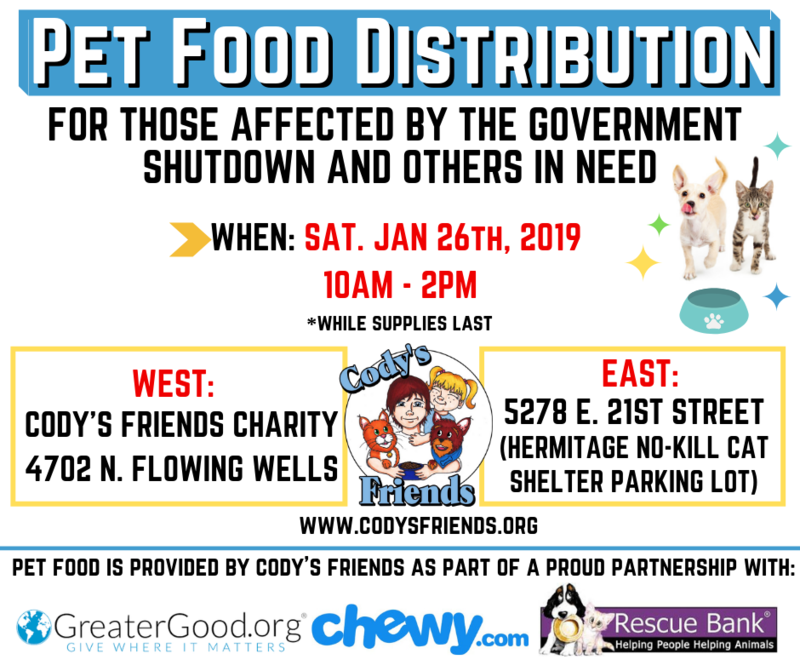 You can help Cody’s by making a monetary donation or taking pet food and pet supplies to one of their many donation stations across Tucson. 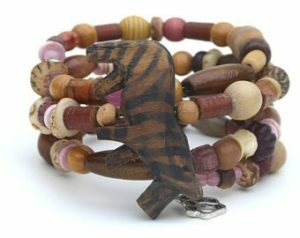 You can also buy beautiful one-of-a-kind beaded bracelets during January.